To meet living costs, students from outside Geneva need a minimum of about 1,600–2,000 Swiss Francs per month if they live in a student's residence and 1,900–2,100 Swiss Francs per month if they live in a private residence. These amounts cover rent, food, public transport, mobile phone and internet, entertainment insurances and other costs. If we add tuition fee (18,000 Swiss Francs), the total annual cost of studying here is therefore around 37,000–43,000 Swiss Francs.  The Geneva Academy offers a limited number of scholarships to outstanding students who are unable to secure the funding required to cover their tuition fee and/or cost of living in Geneva. Applicants need to make sure that they have adequate means to finance their studies. We encourage students to plan the financial aspects of their programme carefully and well in advance, and to explore all opportunities for financing their studies. Various accomodation options are available for our students. 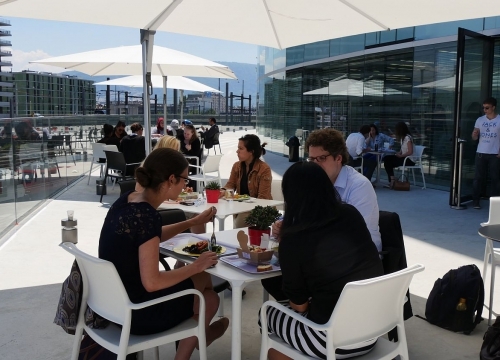 As Geneva has a reliable public transport system which extends to all parts of the city, and even to neighbouring towns in France, you do not necessarily need to live close to our campus. The Geneva Academy offers an exceptional quality of training in international humanitarian law, international human rights law, public international law, refugee law, and international criminal law. The interdisciplinarity and rigour of this programme greatly contributed to my professional development, both at the international criminal tribunals in the Hague and at the ICRC.